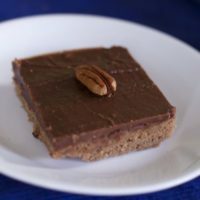 Texas Sheet Cake Recipe- Cake for a Crowd post may contain affiliate links. We love making cakes, especially for our family’s birthdays. 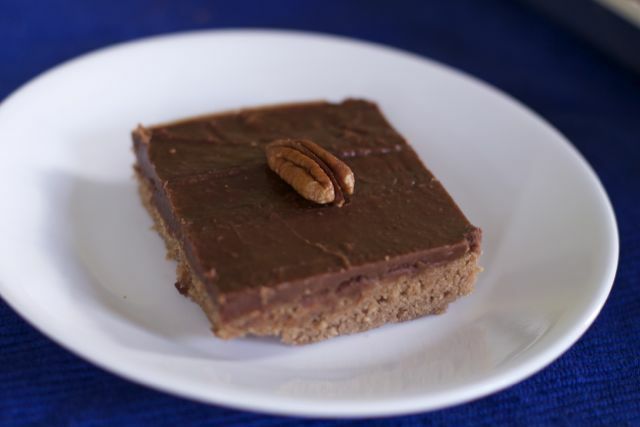 However, we are looking for a quick dessert to feed a crowd and don’t have time to let the cake layers cool and then assemble the cake, a Texas sheet cake is the perfect solution. Not many cakes can you pour the frosting over a warm cake. 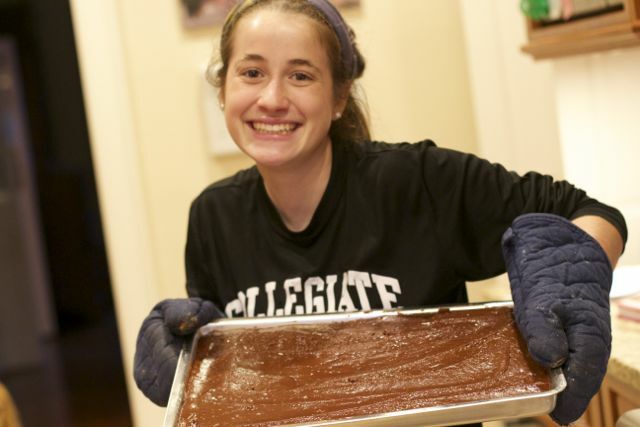 This is a forget it and go type recipe, that even my 15-year old baked all on her own. 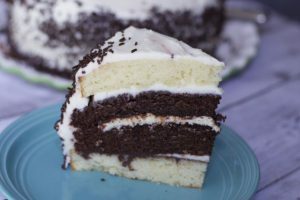 This cake is baked in a 10×13 baking pan and is very dense in flavor that you can easily serve 20 people off one cake. 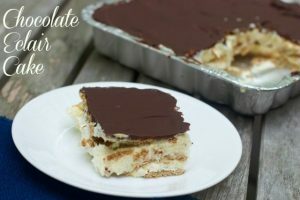 I think I would even make this for a dessert buffet and just cut it into bite-size portions for a wonderful bite of chocolate. Making desserts for a crowd does not have to be hard, just get an arsenal of great recipes. 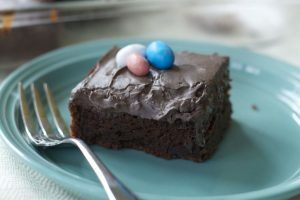 The Texas Sheet Cake Recipe is exceptionally moist and rich in chocolate flavor that I am sure the entire crowd will be thrilled to indulge. 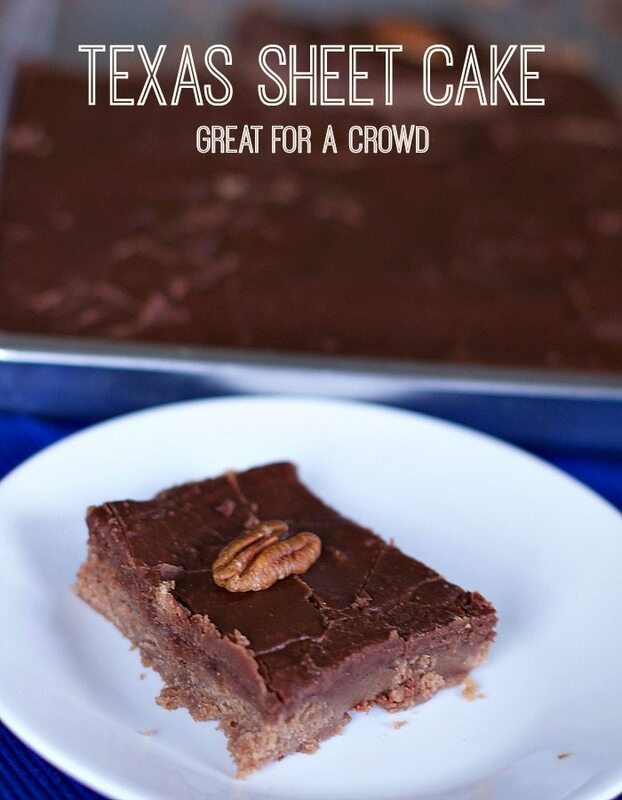 So next time you plan on bringing a dessert to a party, bake up a tray of this Texas Sheet Cake, you won’t be disappointed. This is the perfect cake to bake up for a crowd. Maybe you are hosting a Super Bowl party or just having friends over for a potluck, serve up this make-ahead cake in no time. The best part is that you could easily decorate it later for any occasion. 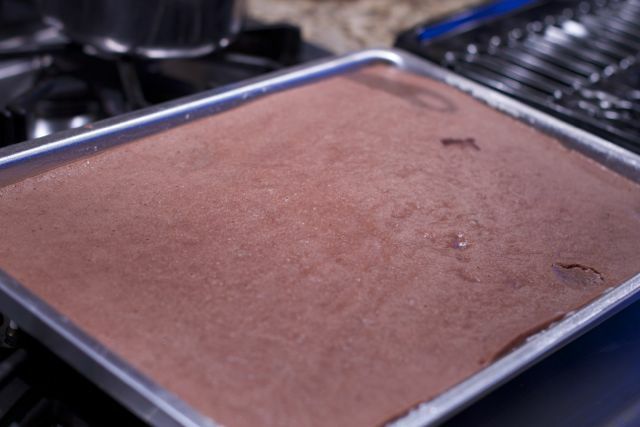 What makes this Texas Sheet Cake Recipe so easy, is you frost the cake while it is warm out of the oven. No waiting around for it to cool. 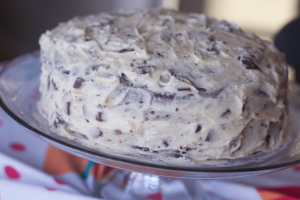 The frosting is sweet and made easily on the stovetop while you wait for the cake to bake. This cake stayed moist for several days. We did not add nuts to the frosting as is traditional for Chocolate sheet cakes because my youngest does not care for nuts in things. You can easily add it to the top for decoration. Be sure to pin this recipe for your next dessert for a crowd need. I could use a slice right now if I was not trying to limit my sweets in the new year. 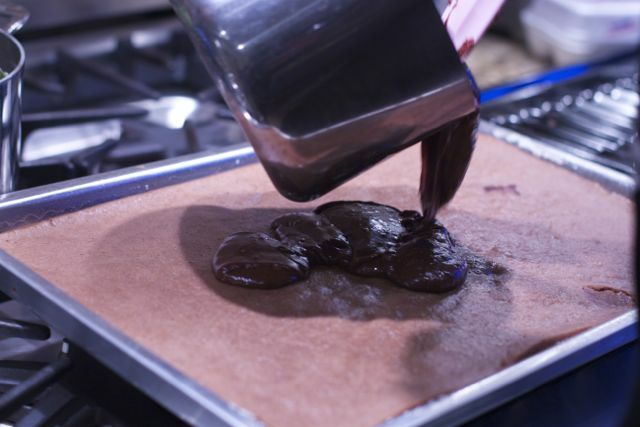 What your favorite dessert to make for a crowd? 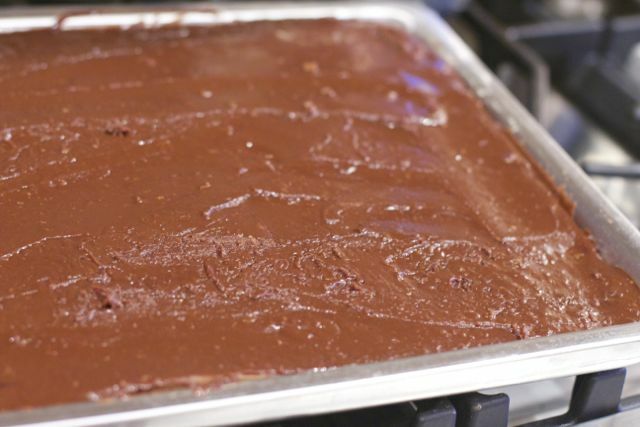 Don’t have one that you need to try this Texas Sheet Cake Recipe.